A great VBS leader, cheerleader, and mentor once taught me the importance of having an official VBS clock. Of course I thought she had finally lost all sensibility and responded to her lesson with laughter. She patiently explained that the only way rotations (crafts, missions, music, recreation, and snacks) could work properly is to have everyone set their watches to the same time – the Official VBS Clock. As she said, a difference of five minutes on one watch could jeopardize the entire rotation schedule which would fall like dominoes. For VBS 2011 the Official VBS Clock has started ticking. While we may be only a week away from a great Thanksgiving feast, any VBS groupie will tell you the clock never stops where VBS planning and training are concerned. VBS leaders across America have been working for weeks to plan and prepare for local training events that will be conducted at a church near you between February and May. 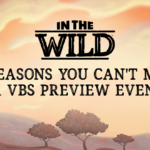 Most of these events are sponsored by Southern Baptist state conventions and associations and led by volunteers who give their time and resources to prepare your church volunteer ministry leaders in every aspect of VBS. Each year between 60,000 and 80,000 people are trained to work with preschoolers, children, teens, and adults. Your VBS workers – even the ones who have been working in VBS for 40 years – need to be trained. The clock is ticking! 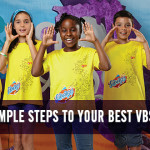 Now is the time to put VBS training on your church calendar and to begin promoting the dates, times, and locations. Contact your local Southern Baptist association or state convention office today to learn about VBS training opportunities near you. You will also be able to find information about training events – including LifeWay’s VBS 2011 Previews – at www.lifeway.com/vbs.